The ski area within a ski area. A special place to glide down a wide-open bowl, navigate through trees, and descend deep chutes. This is the proposed Bald Mountain Expansion area that will increase the skiable terrain by over 380 acres at Sun Valley Resort. When the project is complete, in the Fall of 2020, it will include replacing the resort’s oldest chairlift, Cold Springs (#4), with a new high-speed detachable lift, providing a seamless transition to The Roundhouse, the Roundhouse Express Gondola, and Christmas (#3) chairlift. For those who prefer groomers and gradual pitches, the Lower Broadway run is being extended, lined with highly efficient snowmaking guns. The first phase of construction was completed in 2018, with the re-routing and redevelopment of the Cold Springs mountain bike trail. The location is in both USFS and BLM areas. 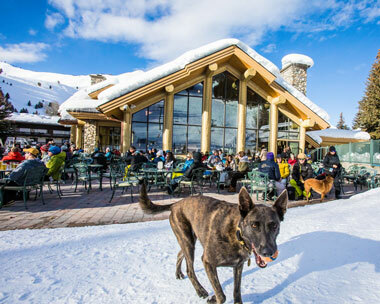 The project is completely within the current Sun Valley Ski Area Special Use Permit. The main purpose of the project is the replacement of the Cold Springs (#4) chairlift, the oldest lift still operating at the resort. The new chairlift will be a detachable lift. It will be seamless ride from the new lower lift terminal to The Roundhouse. Lower Broadway (similar width and gradient as existing ski run) will be extended. 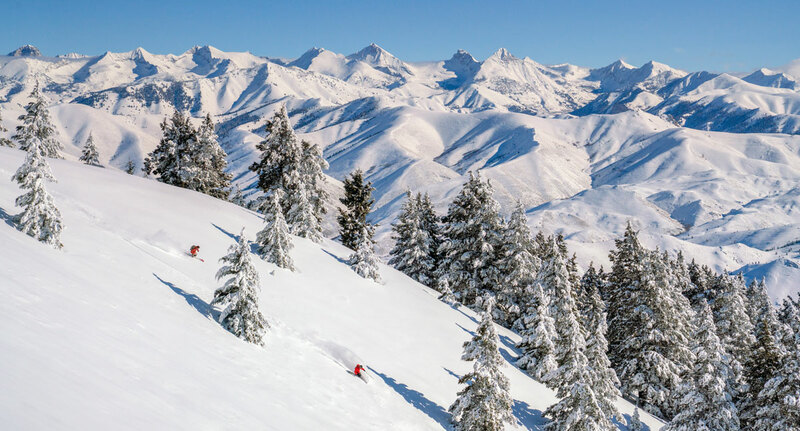 Skiable acreage within the Sun Valley Resort boundary will increase over 20% from 2,054 acres to 2,434 acres (380 acres) when the project is done. Access from the top of Seattle Ridge, where skiers and riders may descend into “Turkey Bowl,” then proceed north for access to extensive tree skiing. 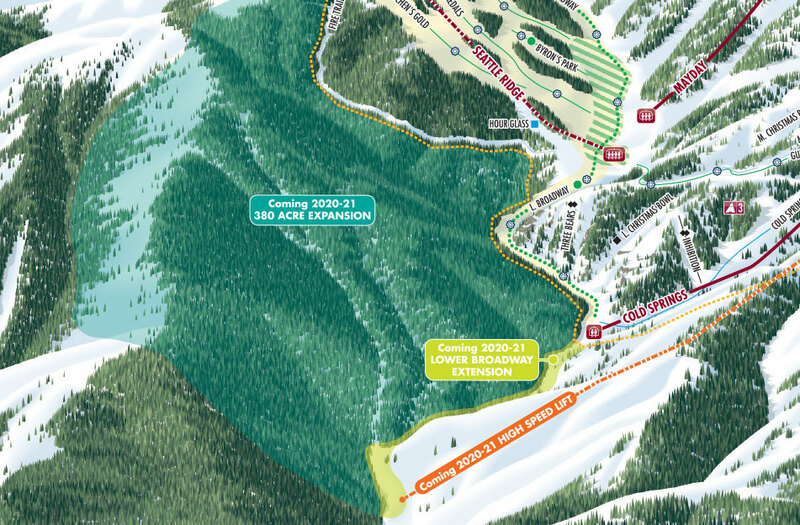 Snowmaking is proposed to be extended down Lower Broadway to the base of the new Cold Springs lift terminal. At least 18 highly-efficient snowmaking guns will be added down to the new Cold Springs lift lower terminal. The Cold Springs mountain bike trail was rerouted and improved with more singletrack and shaded riding.